It was such a HUGE hit, that we're bringing it back! 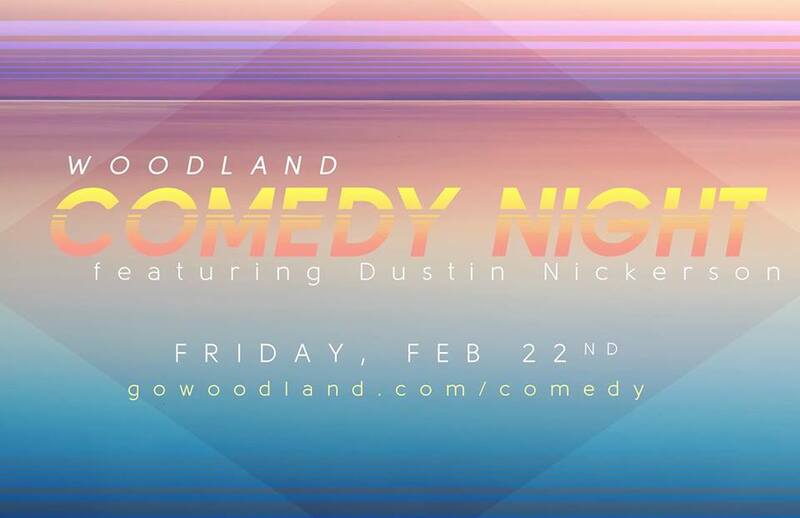 Woodland Community Church proudly presents "Woodland Comedy Night" with special guest comedian Dustin Nickerson. Join us for a night of food, fellowship, and fun! Prior to the main event, we'll be serving dinner with live music. Tickets are $15 each, so make sure to grab an extra one for a friend!